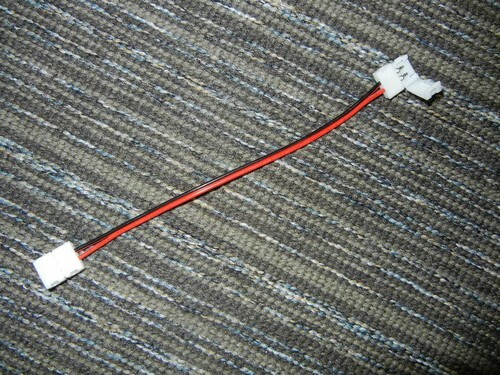 6" wire lead used for connecting single color LED counter lighting strips together. No soldering required. Easy to use just use the clips at each end to connect two led strips together. Used any place where you need a space between two strips.